Twenty teabags of Strawberry tea from Ahmad Tea. 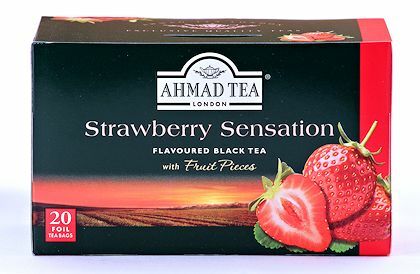 Black tea with the fresh aroma and flavor of strawberries. Can be served hot or iced. 40 g. Individually foil-wrapped teabags. Packed in Sri Lanka.